I was blessed with winning a 2019 SS28 Slotback through a WRX drawing. By way of that win, part of my obligation should be to review my experience with the putter. Who am I? An over-the-hill 72 year old. 2018 saw me card right at 200 rounds. Our handicap season runs from March 1 through November 15. I entered 151 rounds in our handicap system during that time frame. The other almost 50 rounds were played before or after the handicap season. My handicap bounced around in the 8 to 9 area. Ended up with an 8.3 handicap. Putting has not been one of my strengths. The past two seasons I have bagged a Select GoLo from Cameron. In my basement resides a number of Ansers, some of which do see one or two rounds/year. I toyed with the idea of ordering the Arm Lock. Could not convince myself to totally change my putting style at this age. The Slotback appeared to give me advantages of a mid-mallet while having some similarity to the Anser style. I've always putted with a 35" and ordered the SS28 at that length. I also asked for the jumbo Bettinardi grip... a jumbo Lamkin cord. Was love at first sight, even though it arrived while the ground was white with snow. Winter has been difficult for us. We've experienced pretty open winters the past few years. 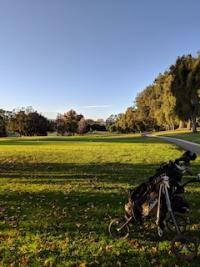 Played 20 rounds, here, in December. Then, January/February Mother Nature decided to vent her anger. I have only 5 rounds with the SS28, to date. Those rounds have been played on winter slow greens. I will update my review as the season progresses and we see more typical green conditions. Appearance: The finish of the SS28 is superb. I like how the putter sets up. Does not appear "oversize", but when held up against the GoLo has a longer face/blade. The milling of the F.I.T. grooves is perfect. The putter has a "heavy" feel. Some of this may be the jumbo grip. Still, it just seems to "flow" through the putting stroke. The roll I am getting from the F.I.T. milling is amazing. The first day I took it to the course, I dropped a couple balls on the putting clock, 6 feet or so from a hole. I made those first two putts! Was that a sign? That remains to be seen as the season progresses. In just the few rounds I've bagged the SS28, each hole seems to enhance our relationship. Certainly, it is still the honeymoon period that can be experienced with most any new club. My confidence with this putter, in only five rounds, is already greater than that of a putter I bagged for the past two seasons. I am excited about the upcoming season and will report from time to time as to how the SS28 and my journey together unfolds. Congrats on the free Bettinardi from the contest win. I'm sure your love for the SS28 will grow the more you use it just like mine does for my BB0s! 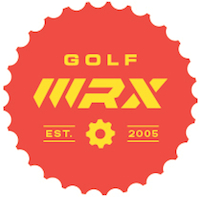 How would you compare the fit face feel and sound to other putters you have used? The FIT face is by far the softest putter face I've ever tried / experienced (I'm gaming the SS28 currently). If you hit it in the sweet spot honestly sometimes it barely feels like you hit anything. It's great if you have an aggressive putter stroke generally. One complaint on this from friends who have tried it is that they felt you actually had to hit it harder to get the ball going, which I'll concede the putter definitely doesn't have the same "pop" off the face as a lighter milled putter. Personally this is what I'd expect if you go so far to the "soft" side of the feel spectrum. Previously gamed, comparable putters include Scotty Studio Select Newport and Scotty Circa 62 #3. The circa is a little hotter / poppier off the sweet spot, altho both the Circa and the Betti will click a little bit more as you move away from the sweet spot (recently corrected my stroke from a consistent 2-4mm off the toe back into the sweetspot / CG). And the GSS insert in the Studio Select is a tiny bitt hotter / bouncier than the Circa in my opinion, and also a tiny bit clickier. Other significant differences, as OP pointed out, is that the headweight is around 367g for the SS28 compared to something like 330 for both Scotties I mentioned. Definitely takes some adjustment, and I still cycle through the putters occasionally, but the Betti is the primary putter in the bag right now. Also the SS28 is nearly FB and the Scottys are 1/4 toe hang. I like to switch back to the Scotty blades when I'm feeling more confident in my stroke and trying to drain putts, whereas the SS28 weight and soft feel really help me putt very consistently no matter what. Snow finally gone and, hopefully, a long winter giving way to Spring. Greens are still a little slow. but we are getting some rounds in. Some comments, so far, about my new SS28. I've owned a number of Camerons. My latest, and the one still in my arsenal, is a Golo. Mine is the Golo that is a solid block of carbon steel, before the inserts. 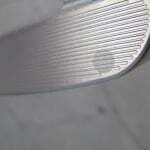 This SS28 feels softer than the carbon steel mallet. As one poster stated, the SS28 is heavier than what I have been used to. Took a little bit to get used to that. The weight makes the putter "flow" through the stroke. Once you get a feel for speed, this putter is amazing. Long putts have been falling in unbelievable numbers. "Honeymoon"? Hopefully not! I have a SBST stroke. The very limited toe hang is noticeable. Very easy to keep the SS28 on line. 2018, I carded almost 200 rounds. As the Betti and I spend more time getting to know each other and as our greens become quicker, I will try to post my experiences a few more times. Got an update? My Slotback in en route. I am curious about the low profile - and how that impacts your stroke. Guess I don't understand your comment "low profile". The Slotback has just as tall a face as most any of my other putters. If I can get a better picture in my mind of your question, I will quickly respond. This putter has changed my game! Took a few rounds to get used to the weight. Once the putter and I decided we wanted the marriage to be a good experience for both, it has been amazing!